One of the goals of the Randolph Community Forest, as stated in its forest plan, is to support traditional recreational uses. One of those, albeit a relatively newer one, is trail running. Numbers are hard to pin down, but one thing that’s clear, is that this backcountry activity is growing. According to the American Trail Running Association, the number of participants in trail running events has increased more than four-fold in the past dozen years, and now surpasses 400,000 annually. So, when a group of local residents got together to create a new trail run on the Community Forest, we were pleased to support it. 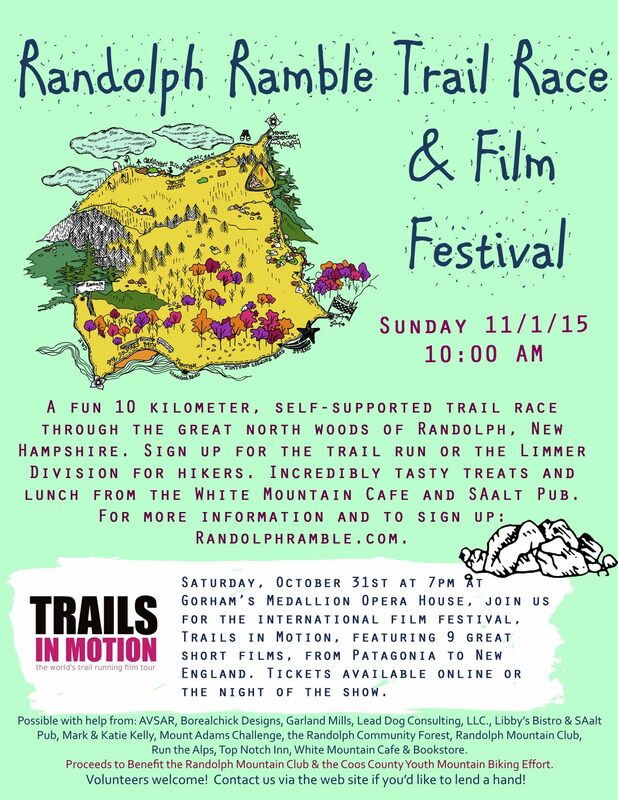 The run, which will take place at 10 am on November 1st, is called the Randolph Ramble. (You can find more information on the run at their web site, here.) For those whose idea of a fun time doesn’t include speeding up and down mountains, there’s a slower, more contemplatively-paced Limmer Division, named in honor of the classic White Mountain hiking boot. The flyer from the Randolph Ramble, which will take place on the Randolph Community Forest. A special trail running film festival will take place the night before, at the Medallion Opera House in Gorham. Called “Trails in Motion,” the collection of short films cover trail running from New England to Patagonia, and has been showing to critical acclaim around the world this past year. You can view a preview of the films here. Proceeds from the event support the Randolph Mountain Club, and a local youth mountain biking effort. Many local businesses are supporting the event, and both the White Mountain Cafe and SAalt Pub are contributing food before the run, and a tasty lunch afterwards. 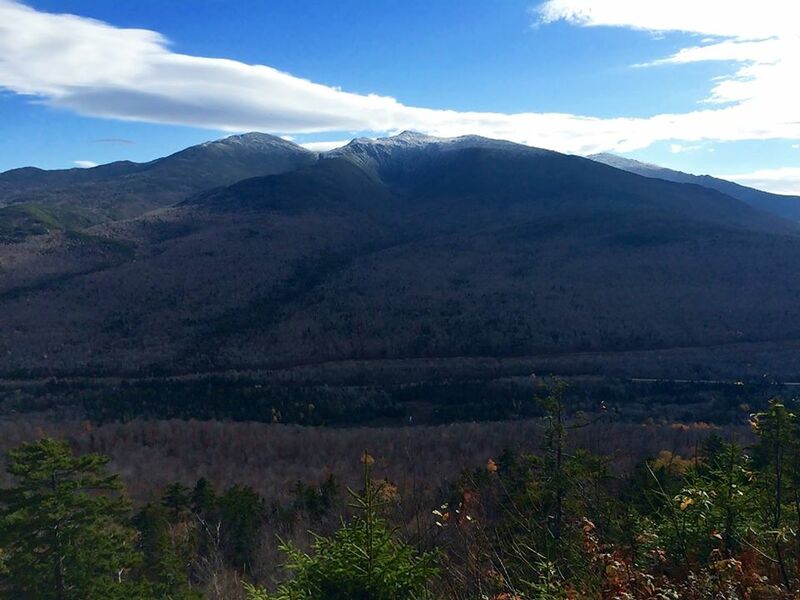 The South View on Mount Crescent– the highpoint of the trail race, and a moment to take a breath and enjoy the view!